Posseman Festus Sprague was shot and killed while attempting to arrest the man who had murdered Deputy U.S. Marshal William Story the previous day. The posse tracked the subject to a relative's home along South Willow Creek in a canyon approximately seven miles southwest of Grantsville. As the posse closed in on the house the man mounted his horse and fled further up the canyon until having to dismount. The man fell down the canyon wall into the brush. As Posseman Sprague and other posse members entered the brush they were ambushed by the subject. 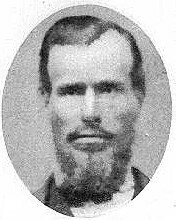 Posseman Sprague was fatally wounded before the man was killed by return gunfire by other posse members. Posseman Sprague was a veteran of the Nauvoo Legion. He was survived by his wife and four children.